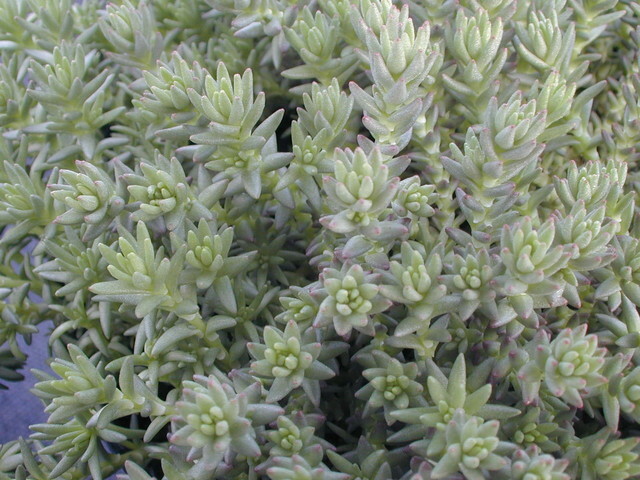 Gray-green leaves on stems that are sometimes shaggy with dead, silvery-gray leaves. Yellow flowers. Native from eastern Europe to the Middle East at various altitudes. Plants become brittle in the fall when pieces easily fall off and root, starting new plants. Evergreen.